Monckton Chambers houses ‘expert practitioners’ and ‘a number of exciting junior counsel to follow with interest’. 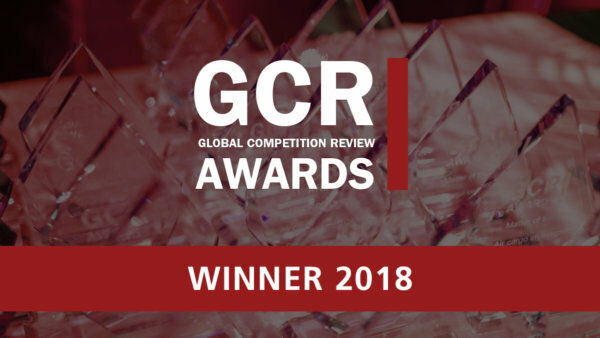 It is ‘the set of choice for all issues surrounding competition, regulatory, state aid and procurement law’, but is also recognised for its expertise in public, environment and tax law. 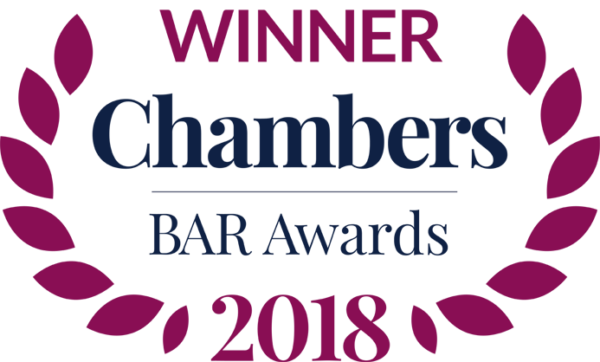 Chambers is praised as ‘a friendly and reliable set’; ‘despite the volume of work, counsel and clerks always make themselves available at short notice’. Senior clerk David Hockney stands out as someone who is ‘always ready to assist’, and ‘embraces the set’s modern outlook’. Ann Langford is the chambers director. 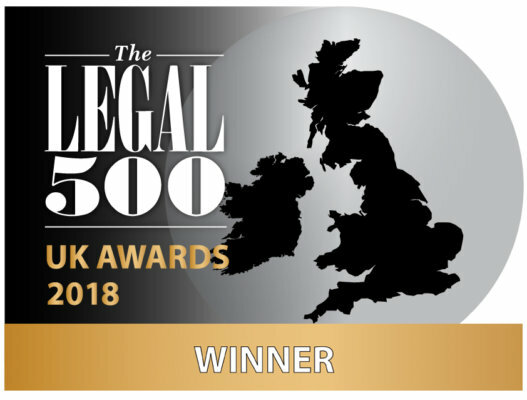 Monckton Chambers provides ‘an available and straightforward’ service, and is recommended for EU and competition related public law matters. Robert Palmer, Gerry Facenna and Brendan McGurk. Ian Wise QC was listed as a Leading Silk. Ian Rogers QC was listed as a New Silk. Piers Gardner and Eric Metcalfe. Anneli Howard was listed as a Leading Junior. Monckton Chambers has ‘fantastic EU expertise’ and members regularly act for the Environment Agency, the Department for Environment, Food and Rural Affairs (DEFRA), Department for Business Innovation and Skills (BIS) and local authorities. 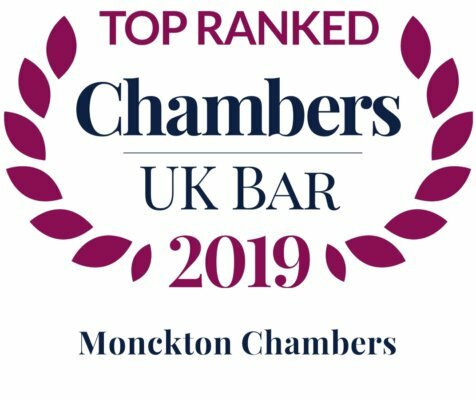 Monckton Chambers is ‘one of the best competition sets’, where ‘counsel go out of their way to make themselves available‘. In 2013, members made 33 appearances before the European courts and the set has several applications currently pending before the European Court of Human Rights. Chambers has recently been particularly active in litigation arising out of merger investigations. BMI Healthcare, HCA International and Spire Healthcare v Competition Commission is a casehighlight. Paul Lasok QC, Michael Bowsher QC, Jon Turner QC, Paul Harris QC, Tim Ward QC, Daniel Beard QC and Philip Moser QC. Andrew Macnab, George Peretz, Alistair Lindsay, Ben Rayment, Josh Holmes, Ronit Kreisberger, Meredith Pickford, Julian Gregory, Rob Williams, Anneli Howard, Alan Bates and Alison Berridge. Robert Palmer was listed as Leading Junior. Drew Holiner was listed as a Leading Junior. Monckton Chambers has ‘great strength in depth’ and members frequently act in the leading telecoms regulatory cases for mobile and fixed-line telecoms companies, broadcasters, content providers and Ofcom. In 2013, members appeared in numerous cases involving the latter, such as BT and FAPL v Ofcom, the Court of Appeal matter which concerns the pay TV sector; and BT v Ofcom, regarding non-geographic telephone number ranges. Josh Holmes, Robert Palmer, Meredith Pickford, Julian Gregory and Anneli Howard. Thomas Sebastian is listed as a Leading Junior. Monckton Chambers remains the pre-eminent public procurement set, housing ‘excellent specialists’, who adopt ‘a “can-do” attitude’. There are some heavyweight silks in chambers, and the roster of juniors is often singled out as being ‘overwhelmingly good’. Recent high-profile cases saw members act in the Department of Transport’s decision to award the West Coast mainline contract to First Group, and the dispute between Pearson Driving Assessments and the Cabinet Office and Department of Transport concerning the provision of computer-based testing for driver theory tests. Monckton Chambers enjoys ‘great strength in depth’. Members cover the full range of sports disputes and appear in all the associated tribunals, including FA arbitrations and disciplinary hearings, the Court of Arbitration for Sport and the FIA International Court of Appeal. Ronit Kreisberger and Fiona Banks. Monckton Chambers is ‘the go-to set for indirect tax and EU law matters’. It contains ‘very high quality barristers’ and ‘commercial and personable’ clerks. Andrew Macnab, Peter Mantle, Raymond Hill and Valentina Sloane.